1) Let's just start off with food. Brie, tomato chutney and crackers, it's a lovely evening treat if you're still a little bit peckish after dinner. Me and the other half usually have some while watching the evening programs. We don't have it every night, because I think if we did it would be really unhealthy. I'm just really enjoying the flavour of it at moment. 2) The song Defying Gravity from the musical Wicked. I don't know why I keep listening to it at the moment, I just do and normally in the morning before I go to work. It's just an overall a great song. It's on YouTube that I listen to it when I am getting ready for work. 3) Bull, this is a TV show that is based on trial science, it's on Channel 5 and is absolutely fantastic. It's got the same guy in it from NCIS. If I was you I'd go over and check the program out, I've even got the other half into watching it. 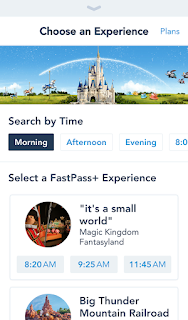 4) My Disney app, I actually don't really need to use this app at the moment but I'm still on it every other day to see what time the park is open at and to look at all the restaurants. You see what you need to book when the time comes. Also I'm keeping an eye on the ride times to see what would be best to use my fast passes for.